Blood urea nitrogen (BUN), creatinine, electrolyte, and glucose levels should be determined, and complete blood count (CBC), electrocardiography (ECG), urinalysis, and chest x-ray should be obtained in cases of suspected hypertensive emergencies to look for evidence of target-organ damage. 1 Renal impairment may present as hematuria, proteinuria, or elevations in BUN, creatinine, and potassium levels. Red cell casts suggest glomerulonephritis. The blood glucose level is important because hypoglycemia can elevate blood pressure and also simulate hypertensive encephalopathy or stroke. The CBC may reveal microangiopathic hemolytic anemia that may occur as a result of vascular damage after an acute, severe rise in blood pressure. The ECG should be compared with previous tracings. 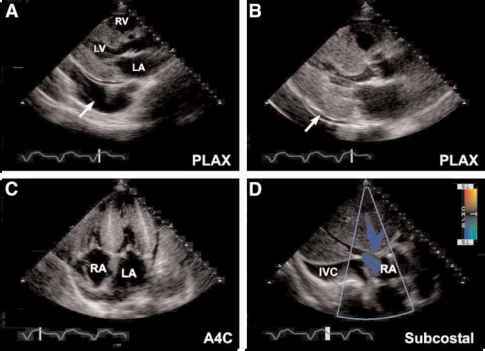 ST-T wave changes may be evidence of ischemia, electrolyte abnormalities, or left ventricular hypertrophy. The chest x-ray may be helpful in showing evidence of left-sided congestive heart failure or aortic dissection. In patients with neurologic symptoms, computed tomography (CT) of the head should be performed to look for evidence of stroke or hemorrhage.